When you choose SHAG Interurban Senior Living, you’re choosing a senior living community that is truly in the center of it all. Located in Bitter Lake Seattle near The Interurban Trail. The community is conveniently located near some of the area's finest outdoor recreational resources. The Interurban Trail allows people to walk, jog or bike along a protected path that winds all the way to Everett. The popular Carkeek Park along the beautiful Puget Sound is only a few miles down the road and the serenity of Bitter Lake is also close by. For those who are seeking an indoor adventure, nearby Northgate Mall is a Seattle shopping destination. Access to Aurora Avenue means banks, store fronts, medical facilities and more are never far. Bitter Lake Park offers a broad selection of outdoor recreation, while the Bitter Lake Community Center offers special events and programs for seniors. Whatever your interest, the Bitter Lake neighborhood will keep you busy. Interurban offers the best balance of nature and modern convenience a location can deliver. Interurban Senior Living also offers convenient access to I-5 and Highway 99 as well as pedestrian access to public transit routes. And with our dedicated transit van service and private car-sharing program, getting around Snohomish and King Counties couldn’t be easier. 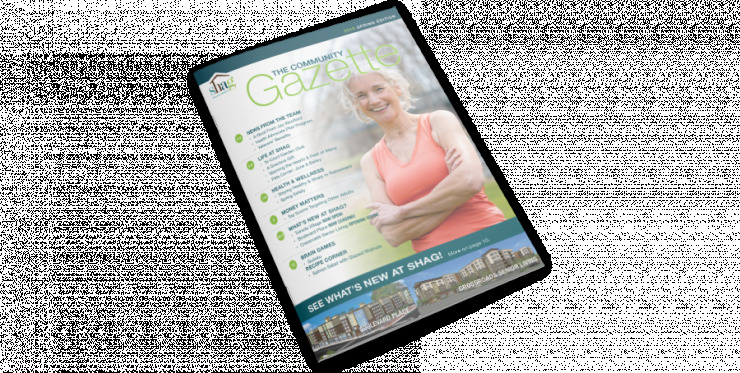 SHAG Interurban Senior Living is a community built with a fun and active lifestyle in mind. From our front doors you can walk to almost anywhere you want to be, including the Interurban Trail!